238 pages | 10 B/W Illus. 7. Corruption among Ukrainian Businesses: Do Firm Size, Industry and Region Matter? 8. Political Risks in Moldova - A Barrier to International Investment? 9. Transformation of corporate governance in Turkey: Eliminating or Accommodating Political Risk for Doing Business? 12. Take-off in Baku. Waagner-Biro and the new airport in Baku. 13. Developing a Logistics Hub in Georgia: The Case of Gebrüder Weiss. Johannes Leitner is head of the Competence Center for Black Sea Region Studies at the University of Applied Sciences BFI Vienna, Austria. 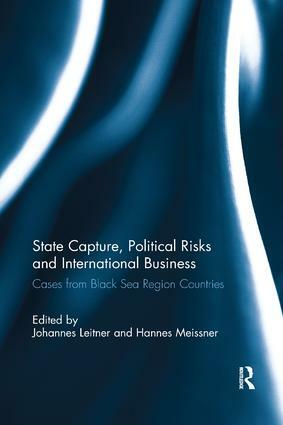 Hannes Meissner is a senior researcher and lecturer in the Competence Centre for Black Sea Region Studies at the University of Applied Sciences BFI Vienna, Austria.